Axiom’s environmental professionals perform Phase I Environmental Site Assessments (e.g., Massachusetts 21E Site Assessments) for purchasers, sellers and lenders to satisfy a Superfund requirements for landowner liability protection related to real estate transactions. The assessments are performed to identify whether releases and/or material threats of releases of hazardous substances and petroleum products likely exist at the property under conditions that would be subject to enforcement actions if brought to the attention of appropriate regulatory agencies. 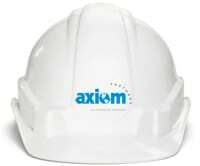 Axiom has managed large portfolios of Phase I Site Assessments for major financial institutions in New England. Axiom has designed and conducted site investigations to evaluate the source, nature and extent of hazardous substances and petroleum in structures, soil, ground water, surface water and indoor air, including vapor intrusion assessments. Axiom has performed risk assessments and feasibility studies, including bench-scale and pilot-scale studies, to evaluate alternative remedial action alternatives and design remedial actions to meet our clients’ goals. Our services include regulatory negotiations, permitting, construction management, post-construction monitoring and operation and maintenance of remedial systems. Axiom has designed in-situ soil and ground water remedial actions as alternatives to soil excavation and ground water extraction and treatment systems. In-situ treatment is typically less costly, less disruptive, and less hazardous and also eliminates potential future liabilities associated with wastes shipped to off-site facilities. Axiom also has prepared Beneficial Use Determination (BUD) applications for construction and demolition wastes (asphalt, brick and concrete) to allow the wastes to be used as secondary materials at the site of generation.